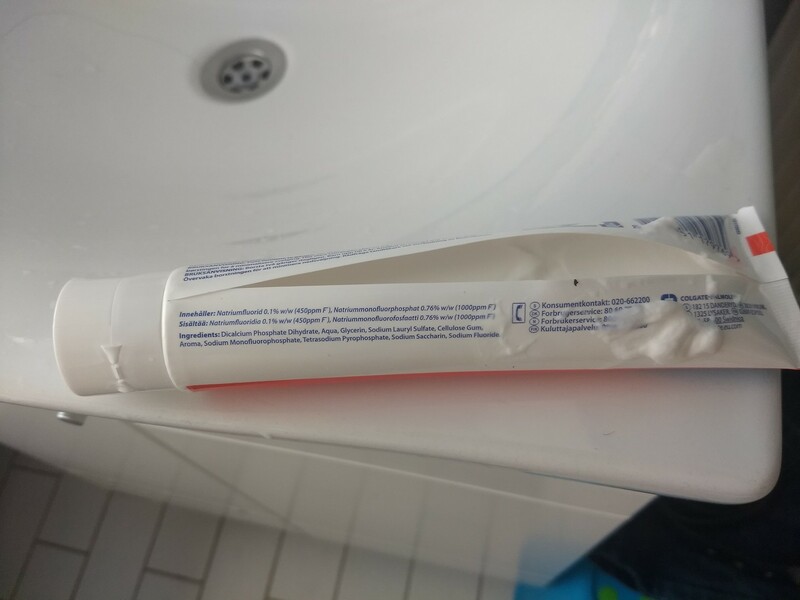 Well, the toothpaste tube decided to burst on one side and now I have a toothpaste "bag" instead. Unsure as to how to proceed. Suggestions?